Dentures are often associated with the older population of the society because most of them use this dental appliance to replace their missing teeth. These enable them to eat, talk and smile without worries. Dentures are removable replacements for your missing teeth and the surrounding tissues. 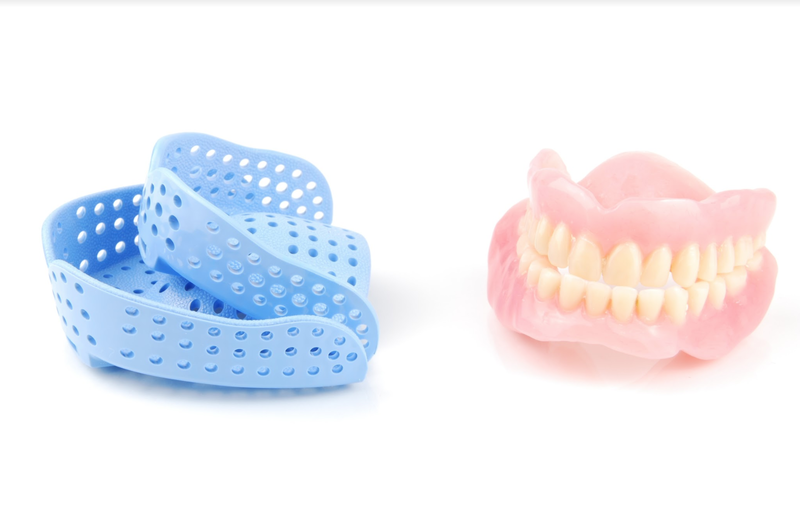 There are two types of dentures to choose from and these are complete dentures and partial dentures. Otherwise known as full dentures, complete dentures are prescribed for patients who have all of their teeth. There are two types of complete dentures, the immediate dentures and the conventional dentures. As its name implies, immediate dentures are fashioned in advance and can be placed shortly after the teeth are removed. You do not have to wait for your bones and gums to heal, for you to use this denture. The disadvantage of using immediate dentures is it requires more adjustments to fit the user properly during the healing stage, where the bones and gums shrink. This type of denture serves as a temporary solution until the healing is completed and the patient is ready for a conventional denture. These dentures are made after the teeth are removed and are used when the bone and gum tissues are fully healed. Conventional dentures are custom-fitted per patient and can be put into place about 8 to 12 weeks after all of your teeth were removed. This type of dentures are used when one or more of your upper and lower teeth are still in position. They do not only fill the space caused by tooth loss but they also prevent the other remaining teeth from shifting positions in your jaw. Partial dentures have two types, the removable partial dentures and the fixed partial dentures. Removable dental appliance used to fill the space caused by tooth loss between two healthy teeth. The denture consists of replacement teeth attached to a gum-colored base, which is bonded together by a metal framework that holds the denture in place. Are also called fixed dental bridges. A fixed partial denture permanently affixes artificial teeth directly to the jaw with the help of dental crown or a dental implant found under the gum tissues. Dentures will not only replace your missing teeth but also your confidence. They also help in restoring teeth’s basic functions such as in chewing and speaking properly. In addition, dentures will decrease the possible oral bone loss thus maintaining your face shape. If you are considering dentures as your teeth replacement, you may want to discuss it first with your dentist. There are other options to choose from and only your dentist will determine what tooth replacement appliance best suits your needs.